The origin of the Elric Brothers! 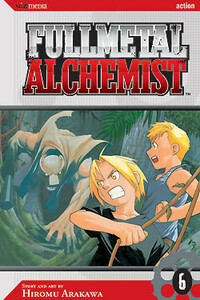 Once Edward and Alphonse Elric were willing to do anything to become alchemists. But when they tried to use their newfound skills to resurrect their dead mother, they broke a taboo and encountered something more terrifying than death itself. Now, hardened by years of military training, Edward and Alphonse have returned to the woman who first taught them alchemy... But can she help them, or even forgive them?